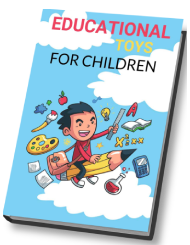 Each year, new toys arrive on the market and every year, a child’s ” grows. Surely you know about the Little Ponies, right? This may be something you watched as you were growing up and every time you see your child watching the Little Ponies on TV, it probably brings back memories. Prince Twilight Sparkle is the little royal pony that really understands the magic of friendly. This is a beautiful pony figure that is pretty all on her own. She comes with a necklace and a charge, which in our opinion, makes her even more beautiful. When your little one gets this Magical Twilight Sparkle, the adventures they take part in will be endless. This pony, along with all of the other ponies feature pretty hair, unique Cutie Mark designs and many colors. As usual, this figure has a nice mane and tale that your little one can style. Little girls can spend hours styling the ponies hair and dressing them up. In our adult world, we don’t really see the big deal when it comes to styling hair and dressing dolls up – but if you go back in your childhood years, you probably recall doing this many times. So, while this may seem like a simple little toy to you, it will be the world to your little girl. Using Magical Twilight Sparkle, your little girl can re-create stories from My Little Pony or create stories of her own. Either way you stack it, this will help improve her imagination. 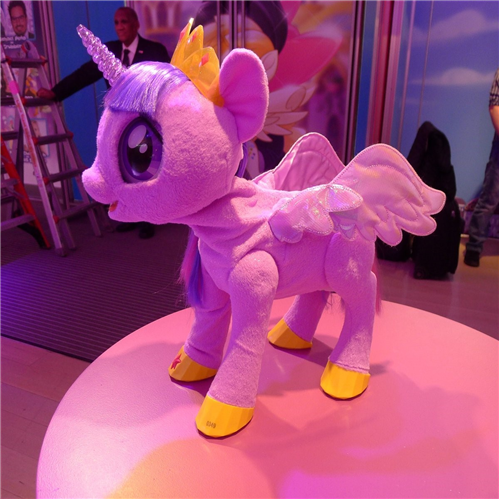 Magical Twilight Sparkle will be a big hit amongst little girls around the world. When you touch the stars that she has on her, her pretty little wings will light up and twinkle – they will also make magical sounds, which will be sure to make your child giggle with delight. As you glide the little pony along, you can watch her wings flutter. There’s a button on the Cutie Mark (all little ponies have a Cutie Mark) – when you press that button, the little pony will talk and sing her special song, showing how happy she is. She will even move her head and blink hear eyes when she talks and sings. Not only does her wings light up when they are touched, she will also talk to you when you style her beautiful, long hair. When you put a tiara on her head, she has lights on her horn that light up. Magical Twilight Sparkle from Hasbro will create many magical moments with your little girl. She comes with a pretty necklace and a princess tiara to prepare her for her big day. talks about her magical spells.